These presentation slides 32662 are complete compatible with Google Slides. Simple download PPTX and open the template in Google Slides. 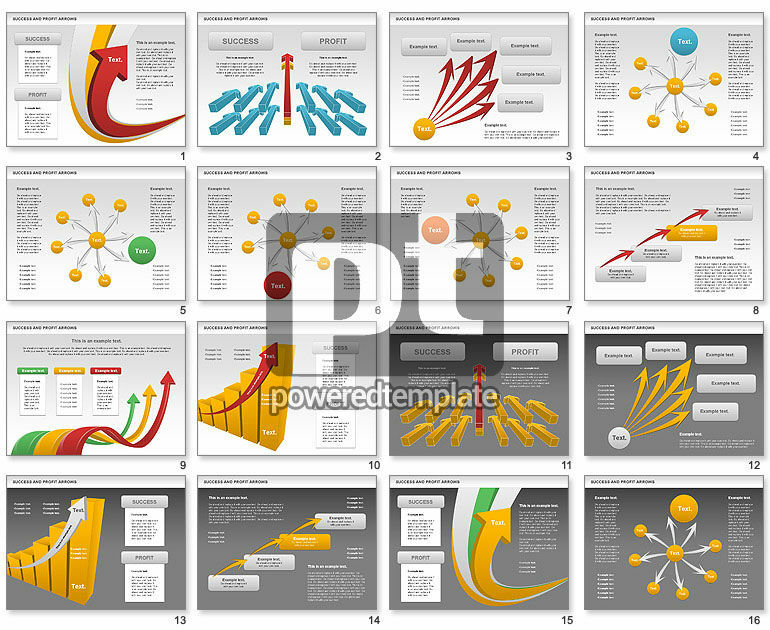 To dramatize your presentations of success story, road to the top, path to success and et cetera you could use this Success and Profit Arrows set with bright and dynamic arrows and other shapes.